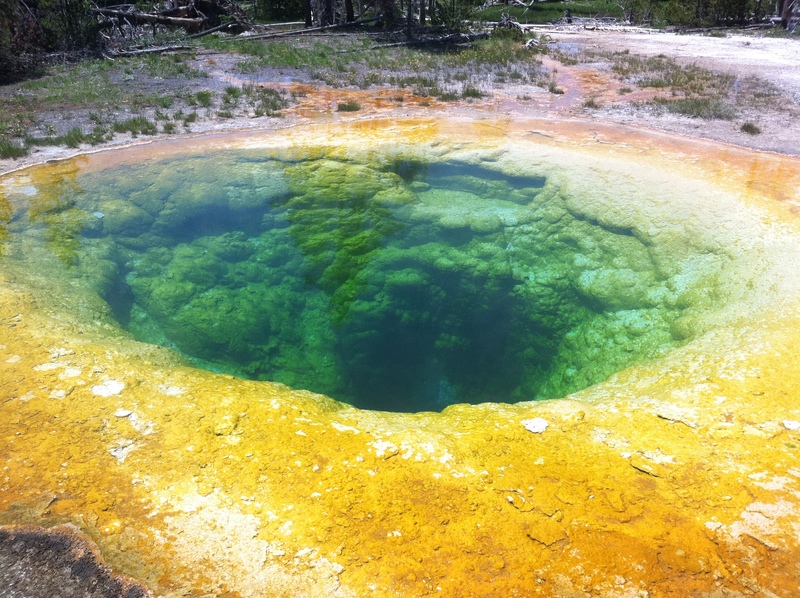 So we took the kids to Yellowstone over the Fourth of July weekend. It was awesome, and beautiful, and…great! The kids weren’t always big fans of the driving, but the animals, waterfalls, geysers, springs, mud pots, sulfur smell (and yes, the boys did make “boy” comments about the smell 🙂 ), and being stuck behind a herd of buffalo blocking the road for an hour more than made up for it. If you’ve never been, I totally recommend it. It truly is one of the most beautiful places in the country. Here are a few of our pictures. 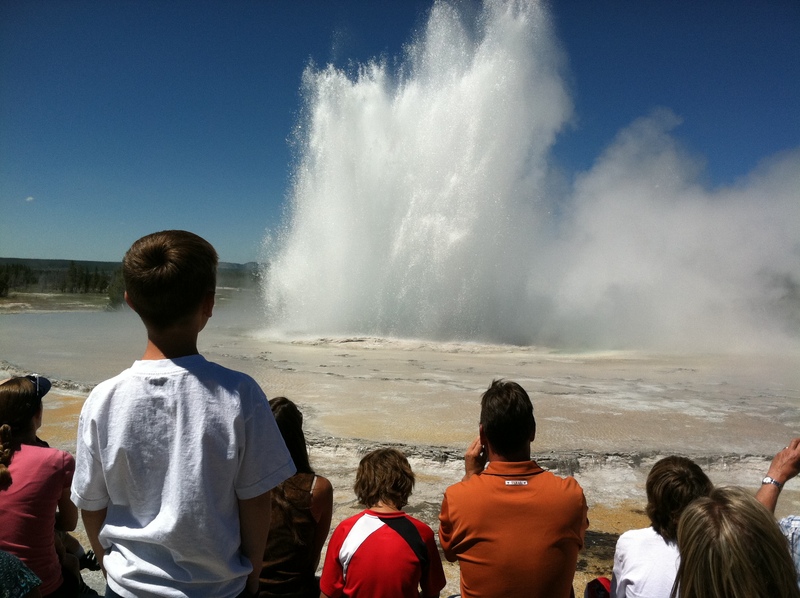 The first is a picture of Great Fountain Geyser erupting, and which we were really lucky to see since it only erupts ever 12-13 hours. 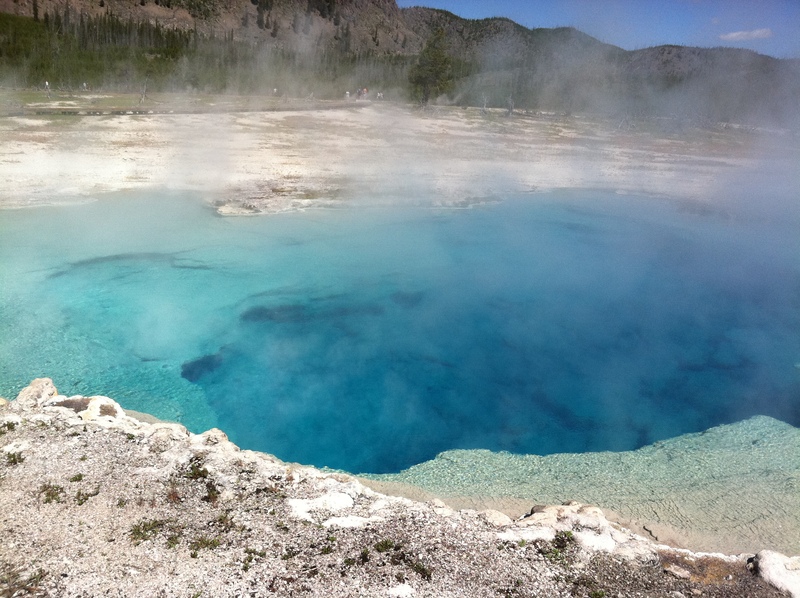 The second and fifth are some of the hot pools. 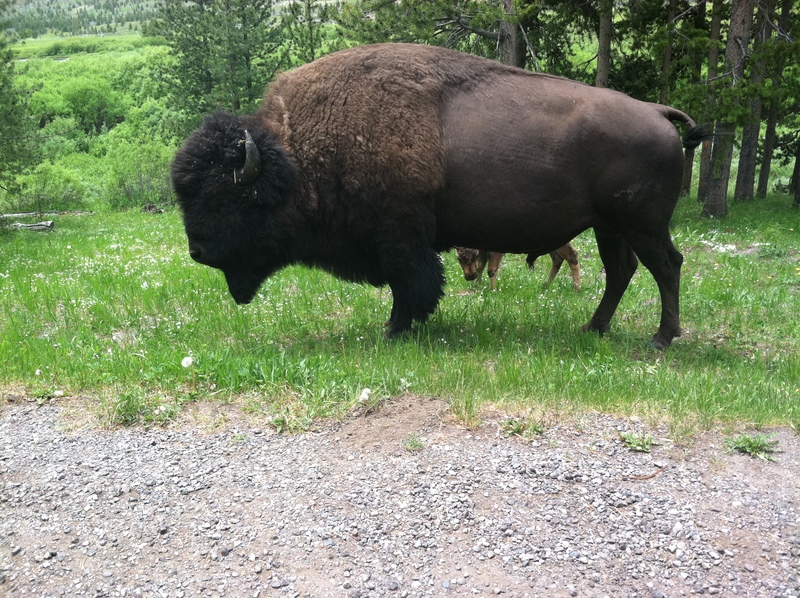 The third, is of course a bison (a.k.a. buffalo). 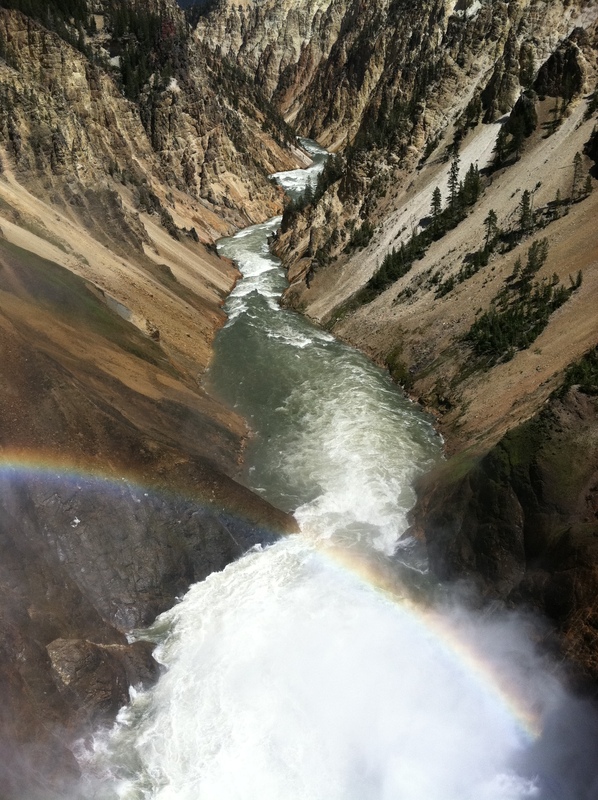 The fourth is a picture of the Lower Falls in the Grand Canyon of Yellowstone. 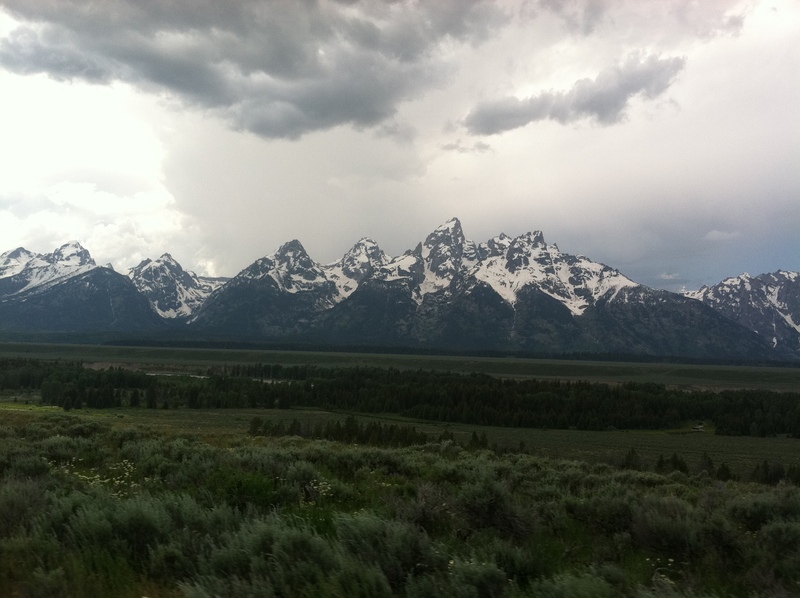 And the last is a picture of the Grand Tetons, which we drove through on the way home. They are truly spectacular, and this is coming from a girl who’s been surrounded by mountains her entire life and lives in a mountain valley. Truly spectacular. That sound so fun…haven’t been there for a while! I love the pictures.